I love this budget program! I used to use Quicken, but just hated the cost and confusion of the routine “upgrades”. Never having had an accounting class, its underlying accounting “logic” confused me. But YNAB is user-friendly, “intuitive”, and easy to learn. Their online classes, short tutorials, and well-written “lessons” are delivered by an amazing group of folks. They are even available to help in real time so my learning curve has been steep. 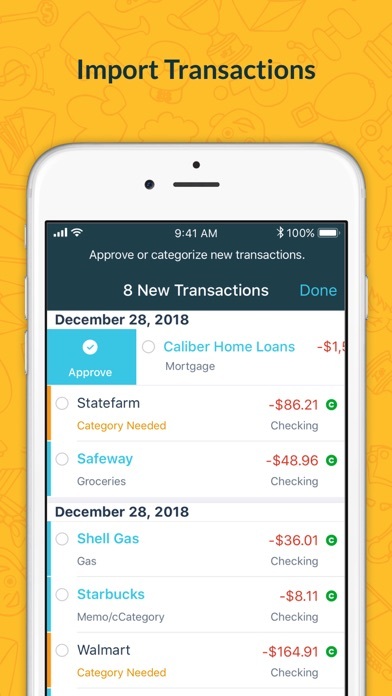 Best of all, YNAB has helped me get on top of and stay on top of my daily spending because I can carry it with me on my iPhone, enter my spending before I pocket my receipts, do a quick end-of-day review, and prepare for the planned and unplanned (!) spending for the days (weeks, months, and years) ahead. Check it out free for a month. You will be hooked! It’s been 7 years and I can’t live without it!!! LOVE the YNAB method! It has literally changed our lives. Thank you so much! Would like to suggest a calendar to be added for reference. The first time I tried this system, I became very frustrated and quit before my free month was up. The second time I tried it, it clicked. When the tutorial said “our most successful users open them app multiple times a day to enter expenses,” I thought I would never do that. I thought that if budgeting was that much work, it wasn’t worth making myself miserable. Turns out, I now enter all my expenses on the same day I make them and it is a huge stress reliever. I think the phone app is better than the web page- though it would be nice to have the ‘undo’ button in the app. I love the app and the idea behind YNAB. It is a wonderful tool. I have one complaint about matching transactions. When I write a check, the person/company cashing that check can take weeks. When the check finally hits my account, the transaction does not see the uncleared transaction for the same amount if it is older than a couple of weeks. I have to manually change the date of the original transaction to the date of the new transaction, match the transactions, then set the date back to the date I wrote the check. Not a huge deal, but an annoying one. This is a problem for any ‘delayed transaction’, but checks would be the biggest culprit. 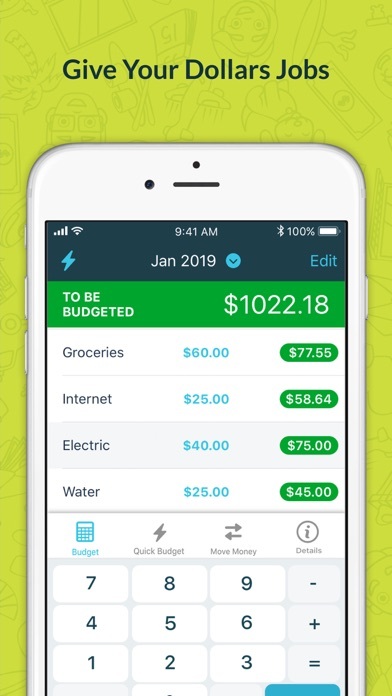 Hi, former never-budgeter here, and this is a great app for all budgeters and never-budgeters alike. My family has actually saved money and felt more free than ever before in our spending. The app itself is really handy, the support staff and tips that are sent out are great when starting out, and the ability to have bank feeds integrated is a huge plus. This app is 100000% worth the cost, but if you’re hesitant, give the free trial a go. I got two months through a link from my favorite podcast (The Relevant Podcast) and was ready to start paying for this by week two. The YNAB methodology for budgeting is great and the team is phenomenal. So, yeah. Get it. Now that you can do nearly everything in the app that can be done on the website, the mobile app is actually useful to me. Thanks so much, YNAB! I had been through all the top budget apps out there when I found YNAB well before the subscription service, had that Dropbox sync! I was reluctant to pay for the service after so many years of using what I had paid already paid for and using for free....IT WAS WORTH IT. The bank synchronization works pretty well for me overall, some accounts don’t update like they should but they are not important enough to cause me any issues. Most important thing I tell everyone is give some time and patience with learning it. My husband hated it when I had him start using YNAB. It does take some time to learn how to think like YNAB but once you get the hang of it and work it out for your budget and needs, you will love it. Including the time when it wasn’t a subscription based service, I have been going at least 5-6 years strong with YNAB and don’t plan on using anything else. Highly recommend to everyone! 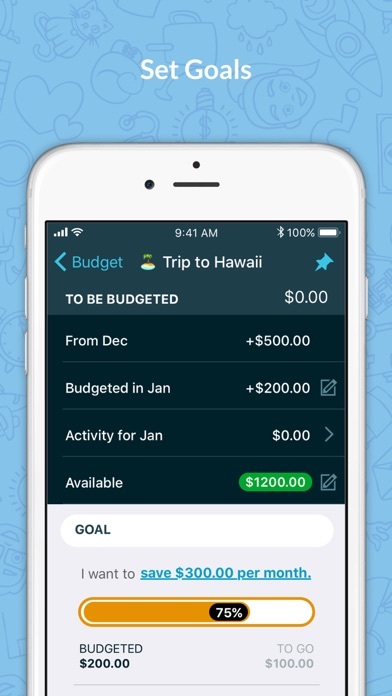 The budgeting app that will change your life. 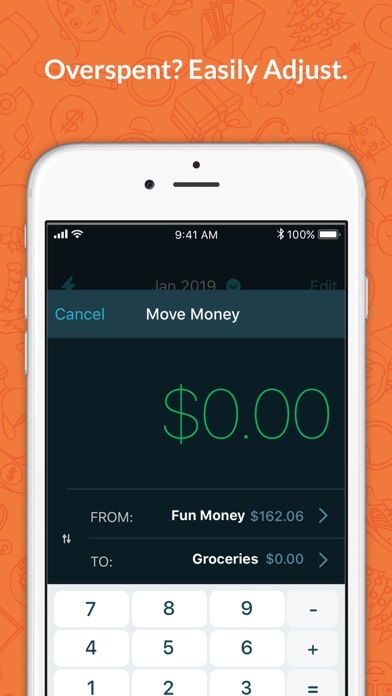 I can’t recommend this app enough - it has significantly changed our finances for the positive and reduced money fights, stress and complications to zero. Spend the time and take their free webinars, learn the system and apply it and you’ll find out how liberating a budget really can be! 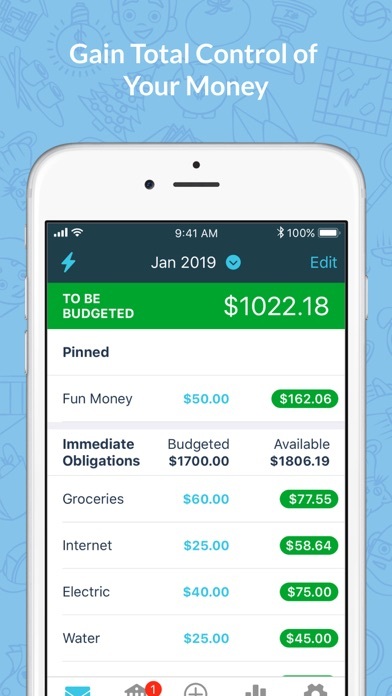 The real power of YNAB is in the philosophy behind the app: Approaching budgeting through the lens of assigning all income a job. It takes financial discipline. If you’ve been broke to the point of begging the power company to keep your power on, you will benefit from the YNAB method. It’s complimentary to many of the popular debt reduction and financial stability strategies that work. There is a community of users who are supportive. The technical support team at YNAB is very responsive. It’s worth every penny and more for a subscription.